This is the finding of the research conducted at the University of Western Ontario, led by biochemistry professor Wankei Wan. 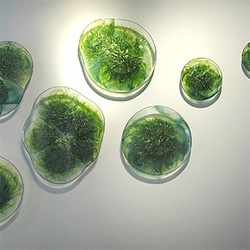 Wan and his team created a tabletop algae pond in their lab — in this case, a raceway pond design — and monitored the growth of a type of algae called Chlorella kessleri under certain light and temperature conditions. They then replicated the setup, only this time they circulated the algae in the pond through an area that was exposed to low-level static magnetic fields. An electromagnet was used in this experiment, though Wan says they could have also used a permanent magnet no stronger than a typical fridge magnet. So what did they observe? Seems algae thrive under a certain level and length of exposure to magnetic fields. Wan’s team, in fact, found a level of optimum exposure that led to a quadrupling of growth of the biomass, the oil inside the algae and in-cell antioxidants, such as Astaxanthin. Wan believes the approach could be used to help boost algae production for both biofuel production and the production of food supplements based on the antioxidant nutrients found in algae. Actually, while this is a potential benefit for higher volume of biodiesel production, Wan sees a much larger immediate opportunity to use magnetism to boost growth for the production of high-value products — i.e. chemicals and nutrients (such as Astaxanthin) that can fetch much more in the market than biofuels. His research is expected to appear later this year in the peer-reviewed journal Bioelectromagnetics. In a few years similar technology will likely find its way into large scale biodiesel production farms that will replace a percentage of petroleum for a lower emissions and sustainable transportation future. Wan isn’t the first to observe this phenomenon. Researchers have been exploring the effects of both magnetism and low-level frequencies on simple-cell organisms such as algae and bacteria for a few years now, and in most cases they have observed growth stimulation. This study provides a good overview of that earlier research.